Split is the second-largest city of Croatia and the largest city of the region of Dalmatia. It lies on the eastern shore of the Adriatic Sea, centred on the Roman Palace of the Emperor Diocletian. Split is a great place to see Dalmatian life as it’s really lived. This exuberant city has just the right balance of tradition and modernity. Diocletian’s Palace is an ancient palace built by the Roman emperor Diocletian at the turn of the fourth century AD, that today forms the center of the city of Split. Europe’s Premier Destination Music Festival returning to the Poljud stadium in Split, Croatia on July 6-8, ULTRA Europe is one of the most anticipated events of the 2018 international festival calendar. While it is referred to as a “palace” because of its intended use as the retirement residence of Diocletian, the term can be misleading as the structure is massive and more resembles a large fortress. Don’t expect a palace though, nor a museum – this is the city’s living heart. Step inside Diocletian’s Palace and you’ll see dozens of bars, restaurants and shops thriving amid the atmospheric old walls where Split life has been going on for thousands of years. To top it off, Split has a unique setting. Its dramatic coastal mountains act as the perfect backdrop to the turquoise waters of the Adriatic. The club’s home ground since 1979 is the 35,000-seater Stadion Poljud and the team’s traditional home colours are white shirts with blue shorts and socks. The celebration of the 100th birthday of the football club Hajduk from Split was recorded by numerous international media, and on many Internet portals there were videos published of the recent impressive fireworks over Split, and also around the walls of Dubrovnik. The spectacle was organized by Torcida, the oldest group of soccer supporters in Europe, which has acted for over 50 years. 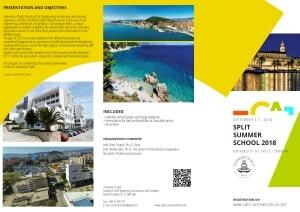 Enjoy the view of the craziest city in the world, Split really justifies this epithet. This is a littoral region that houses as many as three UNESCO world cultural heritage sites in the area of only 20 miles: Diocletian’s Palace in Split, Stari Grad Plain on the island of Hvar and the City of Trogir’s historical centre. Cellars of antique Roman Emperor Diocletian’s Palace in Split, beautiful river landscapes of Žrnovnica and the green hinterland of Biokovo Nature Park overlooking Baška Voda and Klis Fort created natural sets for attractive fight scenes, intrigues, betrayals and revenges depicted in this adaptation of a modern fantasy novel that you will surely enjoy watching.